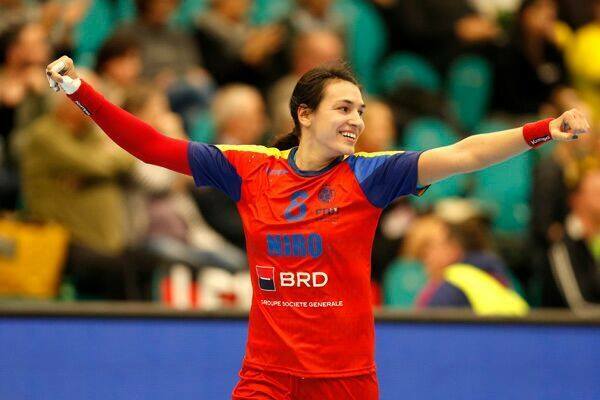 Romanian left back Cristina Neagu has become the all-time top scorer of the EHF Euro with 206 goals. Her 5 goals today were enough to surpass Hungarian Ágnes Farkas, who had been at the top of the top scorers table since EHF Euro 2002 in Denmark with 205 goals. The CSM star had 193 goals at the beginning of the tournament. The 30-year-old player had already made it to the top 3 on Saturday, when she surpassed Germany’s Grit Jurack (194) with her 8 goals against Czech Republic. While she’s aware that she’s accomplished something big, Neagu puts the team work first: “This is probably a big thing to achieve, if I look back at all the injuries and all of the years I didn’t play, to the lot of tournaments that I miss or that I wasn’t at 100% to play handball, it’s a big thing, but for me the most important thing is to achieve things with the team, because the personal records or awards…I don’t mean to sound infatuated, but I won quite a lot of them, so the most important now is to play like today”. 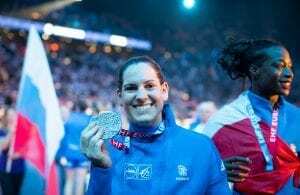 Neagu’s aim is clear and she won’t get distracted with personal accomplishments: “For me playing for a medal with the Romanian team in this European championship would be the best, not the records, not the goals, nothing like that”.